Enjoy a day full of wine tasting and amazing Northwest scenery on this private tour from Seattle. Washington has emerged as one of the top wine-producing regions in the US, and on this tour you’ll get to wine taste at two or more of Woodinville’s award-winning wineries, including beloved Chateau Ste Michelle Winery. Then, travel through the rolling foothills of the Cascade Mountains to spectacular Snoqualmie Falls. Sample chocolate treats in Issaquah before traveling across Lake Washington on one of the longest floating bridges in the world. You’ll be picked up from your Seattle hotel in the morning for a comfortable drive to Woodinville. Travel across Lake Washington over the famous Evergreen Pt Bridge -- one of the world’s longest floating bridges -- to Woodinville, which is home to dozens of Washington’s more than 700 premium wineries. 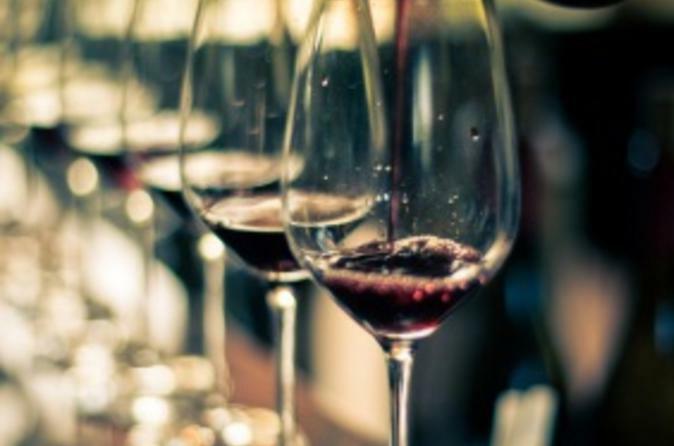 Your private guide will take you to two wineries for a taste of some fabulous Washington wines. Visit a boutique family-owned winery, and award-winning Chateau Ste Michelle Winery, which sits on a beautiful piece of property surrounded by lovely vineyards. At each place, cozy up to the tasting room counter and chat with the sommelier as you sip a variety of wine such as sauvignon blanc, pinot noir and syrah. For lunch, stop by a local eatery of your choosing – there are plenty in Woodinville to choose from (lunch at own expense). Then, hop back in your private vehicle and relax on a drive to Snoqualmie Falls through the countryside. Travel inland toward Mount Si through the foothills of the Cascade Mountains, passing horse ranches and flower farms along the way before returning to your hotel. Arrive at Snoqualmie Falls, a spectacular 268-foot (82-meter) waterfall on the Snoqualmie River. A long-revered Native American icon, Snoqualmie Falls is one of Washington’s most popular scenic attractions and is listed on the US National Register of Historic Places. It is perhaps best known internationally as a filming location for the cult television series Twin Peaks. Spend some time here soaking up the serene views and snapping photos. When you’re ready, it’s time to head to Boehm’s Candies & Chocolates in Issaquah for a tasty treat. Sample their fine chocolates and feel free to purchase any kinds you like. You’ll then return to Seattle, where you'll see sights including University of Washington’s Husky Stadium, New Gates Foundation Building and the Seattle Yacht Club.